"But, I held strongly to the view that it was an opportunity to expose the well-intending Ken Ham and the support he receives from his followers as being bad for Kentucky, bad for science education, bad for the U.S., and thereby bad for humankind — I do not feel I’m exaggerating when I express it this strongly." "...When I read the deliberate malicious stupid relentless lying evil from hypocrite Sorensen I start to wish that hell really exists. Because he will go there if it does if he does not repent of his hatred towards all people who criticise his online aggression and arrogance whilst wearing 'Christian' ie 'Bible defending' clothing. "The Question Evolution Project is a Cesspit of Hate as I have demonstrated many times. "Those caught in Bob's cesspit should get out while they can if they have any sense and if they are real Christians." "...The fact you refuse to learn evolution does NOT give you the right to spread disinformation; without that disinformation being criticized. Plainly put, this article is a crock of s**t."
EDIT: Addendum at the bottom, people ironically proving me right. It is puzzling how evolutionists, whether they are atheist, agnostic, theistic, old earth Scripture-compromising or something else seem to feel compelled to silence the opposition. Bill Nye, evolution's poster boy, has made ridiculous statements about how evolution is essential to understanding "science", indicating that he does not understand the nature of science himself. Richard Dawkins tells his followers to ridicule Christians (so much for "tolerance" — and atheists wonder why they are disliked by so many people). Various atheist celebrities make good money at writing books ridiculing "religion" and engaging in debates. 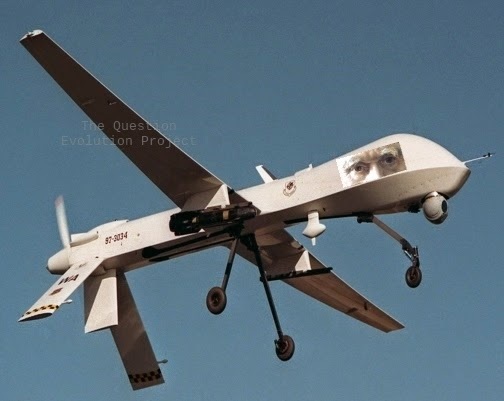 The rank-and-file drones patrol (emphasis on "troll") the interweb on a mission to find and attack Christian content. They seek it on social media, Weblogs, merchandising sites and more, then attack us. Especially biblical creationist content. They seem to be compelled to make a variety of comments that are inane, obscene, antagonistic, laughable or any combination thereof. Why? What do they hope to accomplish? As you can see, some are consumed with blind hate. People who run other Pages on Facebook with Christian material will comment to me that they didn't really believe how depraved these atheopaths can be until they saw it themselves. I can understand that, since my reporting (as well as linking to comments of hateful people) does not have the impact for someone who does not experiencing it for himself or herself. I do know one answer: It's a spiritual thing. They deny the existence of God and suppress the truth in unrighteousness (Rom. 1.18-22). People are enemies of God (Rom. 5.15, Phil. 3.18) before they are adopted as God's children through the blood of Jesus Christ (John 1.12, Gal. 4.5-6). They are doing the will of their father down below (John 8.44), and though they think they are "freethinkers" using "reason", they are actually slaves to sin and cannot understand the things of God (1 Cor. 2.14, John 8.34, 1 Cor. 3.19-20). Sin affects the mind (Rom. 1.22.23). They hate God, the Word, humility for salvation — and us. Part of their hatred of God's people is based on the fact that we have been redeemed and represent God in the world. We stink to them (2 Cor. 2.15-16). But another aspect of the "why" question defies reason: Why do they feel the need to protect science? Creation science is "anti-science rhetoric" that harms the entire species according to this troll. Whether the wandering Internet trolls or the high-profile evolutionists, they act like they're on a mission. From whom? Science itself does not need protection! What is worse, they are using bad reasoning to justify their activities, equivocating "science" with "evolution". But evolution is not science, it is speculation about the past using scientific processes to interpret things that are observed in the present. A great deal of evolutionary science is not scientific at all. Rather, it is metaphysics (especially when dealing with cosmogony). Speculations about evolution are frequently presented as scientific truth. Many of Darwin's Drones seem to think you are stupid. Instead of letting you evaluate the evidence, you must be protected from creation science so you're not confused with facts that they do not want you to learn. They'll save you! A tremendous irony is that many claim some kind of moral motive. We are "liars" because we disagree with evolutionary presuppositions and show their errors (which makes them furious). When we present our point of view and the facts that anti-creationist do not want you to know, they attack. Biblical creationists have the Bible as our ultimate standard of morality. They do not have an ultimate, consistent standard of morality. To say that we're evil, they are actually appealing to a higher standard — they're appealing to God and, therefore, to the biblical worldview! The meaning in their lives is based on a fundamentally flawed worldview that is irrational, incoherent and inconsistent. Further, they feel they must eliminate biblical creation science. This is the opposite of the true spirit of scientific inquiry. Instead, science thrives on challenges; if a hypothesis or theory is found to be faulty, it is modified or even discarded. But not evolution. That stays no matter what. Dawkins said in The Blind Watchmaker that "Darwin made it possible to be an intellectually fulfilled atheist". There is a strong measure of humanistic arrogance in clinging to evolution, but it is also the spiritual problem that man is at war with God and does not wish to humble himself before the Creator. My conclusion, then is that their fighting to promote evolution and suppress alternative viewpoints has a spiritual base. Man hates God and wants to proudly cling to "wisdom" and false "science" to justify rejection of God. No wonder they hate those of us who have a personal relationship with Jesus, the Creator who became a man, died for our sins, bodily rose from the dead and offers salvation. But it comes on his terms, not ours. We must humble ourselves and receive his gift (Ephesians 2.8-9). Darwin's Cheerleaders can actually have purpose and meaning in their lives through Christ. They can build up instead of destroy. ADDENDUM: People were so blinded by hate, they left comments that inadvertently proved me right. — Left at Google Plus. Sounds paranoid, frankly. Lying never works in the long run - even if you're doing it for God. — Left at Google Plus, very helpful, makes me a better person. — Left at Google Plus, incomplete because I copied it from my e-mail notification. You get the point, though, full of prejudicial conjecture and hatred, then claiming to be smarter than all the Christians. These comments have been deleted from the Google Plus post. Why? Because I'm not obligated to give non-thinking haters a platform for their egos and vitriol, nor do I want to waste time in a fruitless "discussion" with minds like these.